HAVE YOU BEEN IN A SNOWMOBILE CLUB BEFORE? HOW DID YOU HEAR OF OUR CLUB? By digitally signing below I declare my answers to the questions on this application are true to the best of my knowledge and belief. 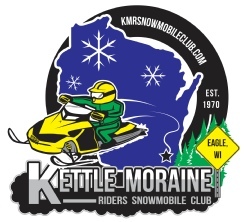 I understand that as a member of the Kettle Moraine Riders of Eagle, WI, I will be expected to abide by the club rules and take an active part in the club activities and functions whenever possible. I also understand that when operating a snowmobile I will do it in such a manner that I will always be a credit to the club and the sport of safe snowmobiling.